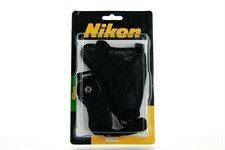 Nikon Camera Leather Hand Grip camera hand strap grip is a high quality leather camera grip suitable for Digital and Film SLR's. 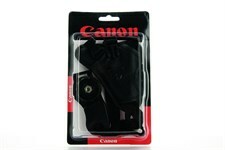 Features a Snap-Lock buckle which secures the camera to the wrist. 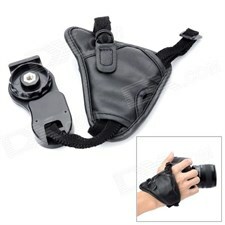 Allows the photographer to relax their grip without dropping the camera. The grip attaches to the right hand side of the camera via the camera's existing strap mount and at the bottom using the supplied base plate and the tripod socket. When fitted, the camera may still be tripod mounted. 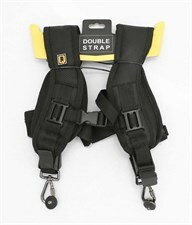 A regular camera strap can also be fitted using the left hand strap mount and the base plate. 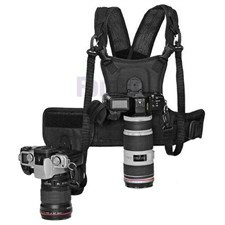 Can hold two camera simultaneously. 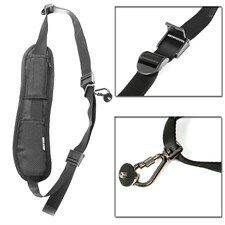 Quick release camera waist belt buckle quickly shoot for camera DV camcorder. 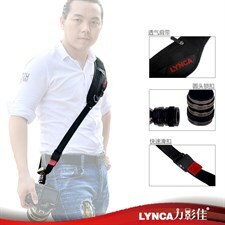 Ergonomics: This camera belt rest on your waist, to free your back, shoulders and neck, that make you feel nothing hanging on your body. Practical: This camera belt stand bumps and travels. 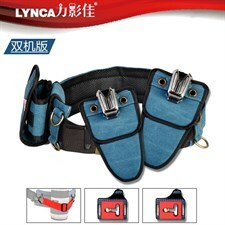 The metal part on the belt is an auto lock device, also you can choose lock state, or open state. 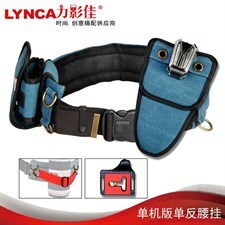 Durability: This camera belt have tested, that it is intact and every link has not loose phenomenon. 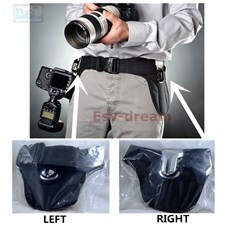 Quickly shoot: This camera belt sets conveniently hip-level which gives you instant access to your camera. Universality: The lock device of the belt can compatible with any structure and any generation camera bottom.